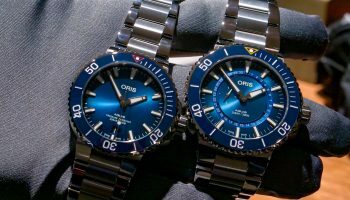 The revamped Oris Aquis Date is a stylish accessory, designed to give divers confidence in the depths but mostly on dry land. 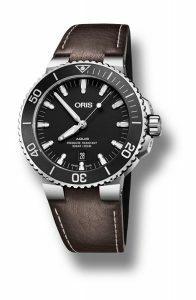 Oris has been making diver’s watches since the 1960s and the vintage-inspired Divers Sixty-Five collection serves as a reminder of the independent Swiss company’s pioneering spirit and innovative approach to watchmaking. 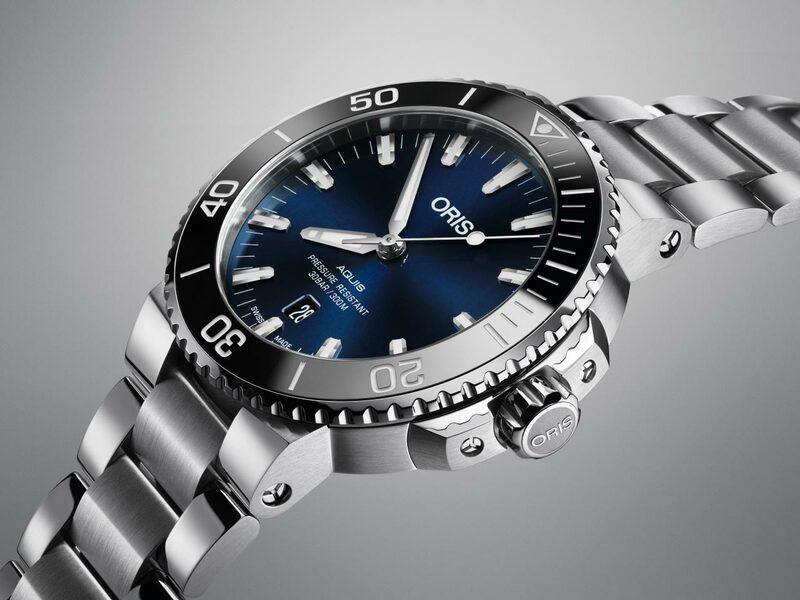 The Oris Full Steel of the late 1990s was a high-performance sports watch which demonstrated Oris’ inventive spirit and sowed the seeds of the present Aquis collection. 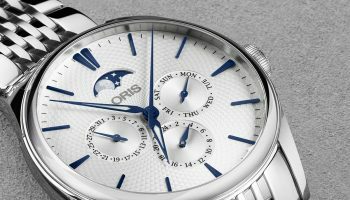 The new Aquis Date presents the latest chapter in the story. 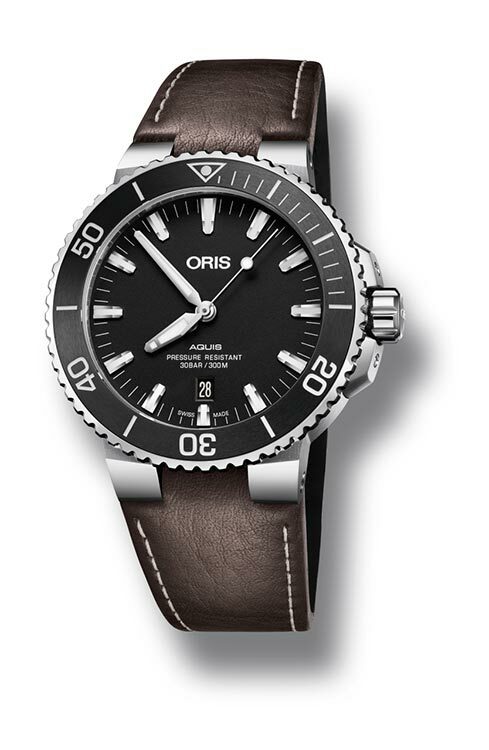 The first Aquis was characterised by the design of its muscular horns and unidirectional rotating bezel. 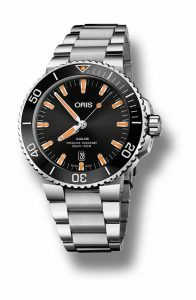 While the horns were designed so the metal bracelet or rubber strap would pivot to fit a wide range of wrist sizes, the broad bezel and its oversized numerals delivered great underwater legibility. Both features delivered practical benefits that have made the Aquis an easy to recognise diver’s watches. 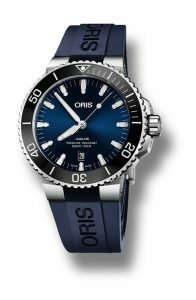 Oris’s designers have added a fair dose of elegance to the Aquis to reflect the versatility owners now expect from a divers’ watch. Oris diver’s watches are no longer just for underwater adventures and expeditions, they’re often found under a cuff and on the promenade. 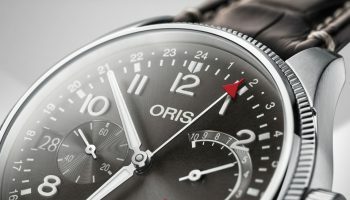 That’s why the Oris designers made the horns and the bracelet thinner, giving the case and the whole watch a leaner profile. 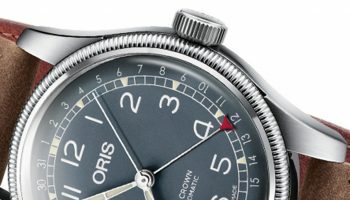 The hands and indices have been redesigned to look bolder and sharper, and the screw-in security crown and crown protectors have been tweeked to give the watch a sleeker silhouette. 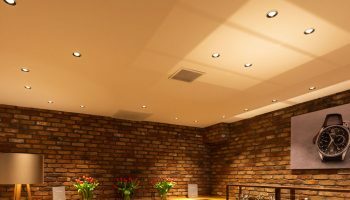 On a more functional note: The uni-directional bezel is now easier to grip, thanks to a small gap introduced between the case and the body, allowing greater purchase. 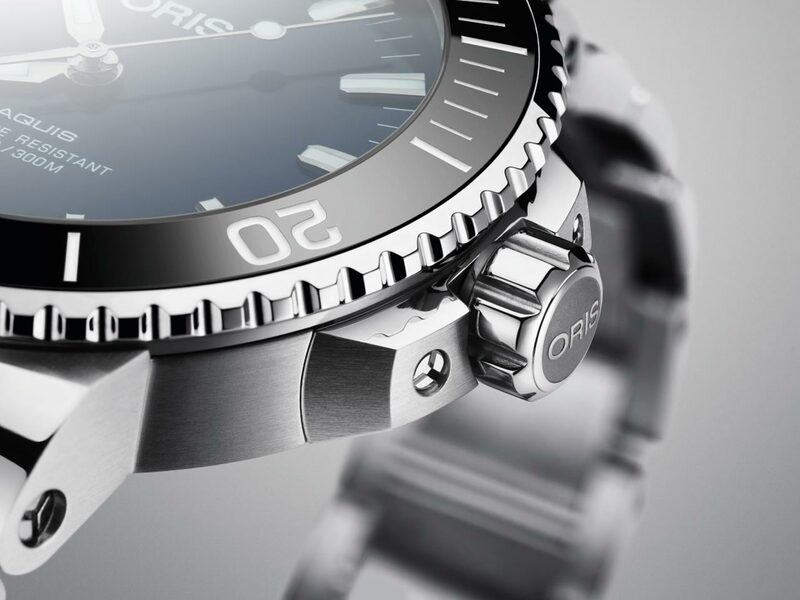 The Aquis Date is water-resistant to 30 bar (300 metres) and the automatic movement Oris uses is the Cal. 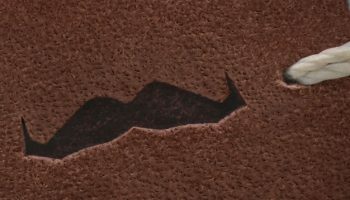 733.